There will be times when you need to spend your money on genealogy. However, you will be pleased to know that you can actually discover your ancestry without having to spend a penny at all. In this helpful guide I will show you 4 ways that you can easily get access to your ancestors records completely FREE! Interested? Well, please read on. Ancestry has helped me on my journey! Ancestry was the first genealogy site that I discovered and used to find out more about my ancestors. And the simple reason why I ‘stumbled‘ across this site was because Ancestry’s recognition as the world’s largest genealogy search site on the planet. There are 8 billions of records for you to search through on this site so the chances of you finding your ancestors within their collection is pretty high. Speaking of myself I have built out quite an impressive family tree largely to the thanks of Ancestry. There are many more different kinds of records that are available at Ancestry. I thought though that I would just show you above a sample of what is on offer. If you have already explored the records that are on offer I have a question for you. What did you find out about your ancestors? I bet some of what you found quite surprised you. Let me know below in the comments section what you discovered. As you can see there are plenty of resources that you can access from within the Ancestry databases. But how do you get them for free? Well read on and I will show you! Ancestry is known for its billions of records that you can view. You will though need a paid subscription in order to access many of their databases. But did you know that there is nearly 2,000 free records on offer? 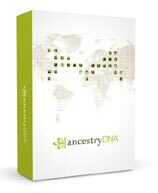 To view these free records you will probably need to sign up for a free account at Ancestry. But don’t worry because the account is exactly that, FREE! No need to provide your credit card details! Yes, that’s right. Unlike other genealogy sites you don’t need to enter your card details in order to check out the free information that is on offer. There are too many records here to mention in a post like this, nearly 2,000 as I have mentioned. But let me share with you the most popular records that you can find on Ancestry. England and Wales Criminal Registers 1791-1892 – Learn about the crime and the sentence handed down to your convict ancestors. Family Facts – The meaning behind your surname and it’s distribution over the U.S. and the U.K. Plus there is much more that you can find out about your family name. Family Trees – More than 30 million trees submitted by Ancestry members for you to freely view and access. FindAGrave – View images of your ancestors graves. US Naturalization Record Indexes 1791-1992 – Be aware that only 15 States are free to access within this database. Why not head over to Ancestor Search where you can learn more about these popular records and more. Create and Share Your Family Tree for Free! Accessing other members family trees hosted at Ancestry is another great way for you to build your own tree. From these trees you can trace your ancestry further back. And you can also find their siblings and their respective descendants. Be careful with what you find! I must warn you though about using these types of trees for your own research. I have come across many of these trees that contain glaring mistakes. The trees I have come across cite censuses that they have used. And sometimes the information in these records contradict information about the family, such as the number and names of children, where the family were residing and so on. So, you need to use common sense and logic when checking these trees out. I feel that the people who have put up incorrect information are just too quick to find and enter information without checking it first. They just find a census featuring a person with the same surname as their ancestor and assume that it is their relative. They then wrongfully conclude that that is their ancestor without checking further details such as location or the occupation of the found person. So, again please be careful with what you find. These trees can really help you a lot but they can also hurt your research as well I find you don’t pay attention. If you want to view and access every record within the Ancestry databases then you could sign up for a 14-day free trial. However, due to the billions of records at your disposal you will surely not be able to find all of your ancestors records within this time frame. You will though get a taste of what Ancestry has to offer and so it is worth taking a peek. If you don’t want to sign up and become a paid member then you don’t have to. There is no pressure to join. It is entirely up to you. Select a package – The trial offers you a choice of a monthly, 6 monthly or yearly package. There is also a choice as to whether you want to access your respective country’s records or get a worldwide package. Provide credit card details – I urge you to be careful when signing up for a free trial. This is because you will need to cancel your trial 2 days before it ends. Otherwise you will automatically be signed up to the package that you initially signed up for. This last point may be considered crafty. So, I thought it was only right for me to warn you and mention it. If you do not wish to carry on with the trial you can simply login to your account and cancel your membership. Occasionally Ancestry will allow you to gain access to their records over a weekend or a special event, such as Easter or St Patrick’s Day for example. Although only for a few days this is another great way for you to get a taster of Ancestry. And also it is an opportunity for you to find some of your ancestors records as well. There will be several times throughout the year that Ancestry will put on an events like this. And it certainly helps them as many visitors will decide to sign up to a package and find more records to help them build their family tree. When are these free weekends? My best method for you to keep up with such events is to like and follow Ancestry’s Facebook page. Not only will you know when these free access events will take place but they also provide useful guides and tips that will help with your family history research. Did you know that your local library will have access to the top genealogy sites. These site will most likely include Ancestry. From your library you CAN view your ancestors records completely free! This is how I got into genealogy and how I vastly built my family tree by this method. Not only was I able to collect details about my ancestors but also their siblings and descendants. Both of my parents are only children and so I never knew of any cousins when I was growing up. I think this is why I was so fascinated to not only build my tree upwards but also outwards as well. Expanding my family tree has certainly helped me because I have made contact with a number of distant cousins. With my research I could clearly see how these cousins were related to me. When you do go to your local library and access your ancestors records you can download the information onto a flash drive. This has helped me as I could then go home and enter this information into my family tree. A tip that I will share with you is to not to go overboard with collecting information this way. You will find when you return home that you will have information overload. So, take your time and concentrate on one ancestor or a branch at a time. Don’t go switching back and forth all over your family tree as you will soon lose interest. Researching and building your family tree can be costly. So, I always urge people to seek out free alternatives whenever and wherever you can. 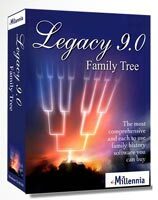 You will though need to invest in a good genealogy software program. This is a much better way for you to build your tree rather than using just pen and paper alone. Quite messy I can assure you. After that you can search your home for information and ask your relatives. These are two great steps that you can take to learn about your ancestry for free. So, signing off this post I urge you to try Ancestry for free and see what you can find. And also discover whether this genealogy site is right for you. I hope you enjoyed this post showing you how you can get records at Ancestry for free. If you have any questions or comments then please leave a comment below. That’s good information to have. Thanks for sharing it. You’re welcome Carol. Glad that you think so. This was a very informative site. I was not aware that it was possible to use Ancestry.com without having to pay them anything. Your website will be a valuable resource for people researching their ancestry. Yes, Carol there are ways to access Ancestry for free. With the 14-day free trial it is exactly that. So I feel you do not want to continue using it and start paying then you will have to cancel it. Thanks for sharing these great free resources. I thought so many of these site would be only be a paid service. I’ll check out Ancestry for free tonight. I also didn’t even think about trying the local library for records for my genealogy research. My pleasure Vince. Glad I could help you. There are many sites out there that you do have to pay but there are free options that you and many others may not be aware of. That’s why I thought I would show everyone how to get records for free. So I am glad it is appreciated. It sounds very nice to know a little bit more about your blood line. I will be searching about it for sure. I know I have Spanish ancestors, but definitely will be nice to know more about i through these free methods. I just didn’t know that wpthere were even free Ways, so thank you. That is great to hear how much work your wife has done. I wonder though whether this is on all of her branches. If it is then that is great work I must say. Ancestry is a great site in my opinion for you to build your family tree. I have learned so much about my ancestors through this site. So it is good to know that you can get records for free, if you know the ways. I like the fact that I can go to the library and get all the records for free! This would be a great thing for me and my son to do. He can learn some about his background and family, which right now is kind of a mystery to me as I am adopted. I am glad I found this post, because I really did not want to pay on ancestry to find out about my heritage. Thank you for sharing! The great thing about visiting the library is you can go again and again, year after year. What you must remember though is to be patient with your information collecting and pace yourself when entering what you have found into your genealogy program. If not then you will soon become overloaded with what you have in front of you and you may give up. So please pace yourself. This is such a helpful website! Thank you so much for all of your research. I had a bit of a problem with Ancestry.com as well and it could easily been avoided if I had found your webpages before I signed up. It will still help as I have learned several ways here to save some money while I do my research. Thank you again!! Hi Rae, thanks for the comment. 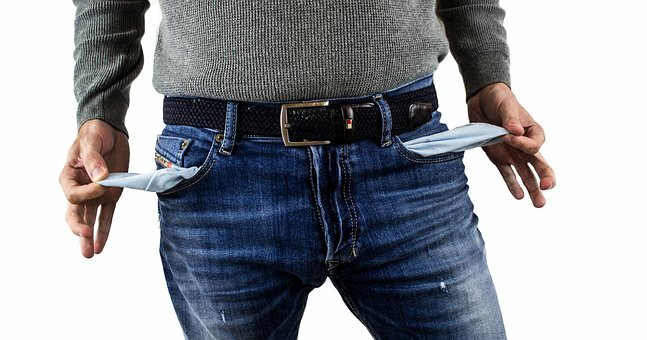 I always urge people to find the free ways first before they have to spend any money. So it is good to know that you can get free records from Ancestry.